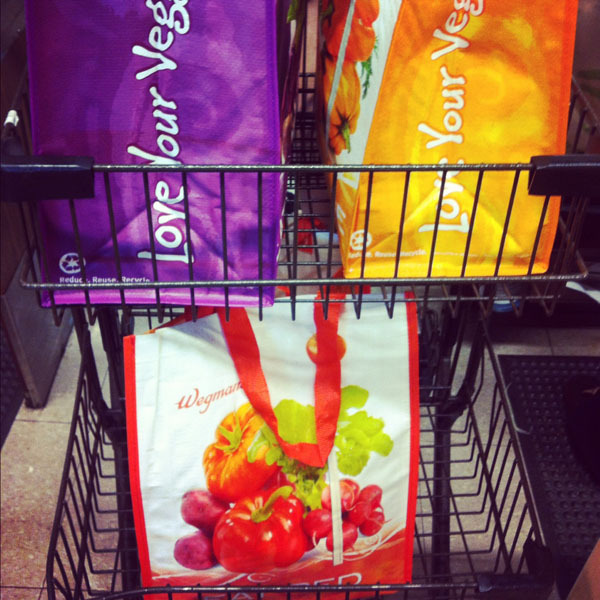 Wegmans now has the complete eat your veggies color resuable bags now. Eat your purple, orange and red veggies. Add in the green I already have, and the set is complete.